With bravura storytelling, daring imagination, and fierce narrative control, this dazzling debut introduces that rare writer who finds humanity in our most unconventional behavior, and the humor beneath our darkest impulses. In these strange, funny, and unnerving stories, animals become the litmus test of our deepest fears and longings. In the title story, an elephant keeper courts danger from his gentle charge; in "Miss Waldron's Red Colobus," a headstrong young woman in Africa is lured by the freedom of the monkeys in the trees; in "Talk Turkey," a boy has secret conversations with the turkeys on his friend's family's farm; in "Slim's Last Ride," a child plays chilling games with his pet rabbit; in "Gallus Gallus," a pompous husband projects his anger at his wife onto her prized rooster. This fresh, inventive debut will introduce Hannah Tinti as one of the most gifted writers of her generation. Enter her world at your own risk, and you will come away bewitched. 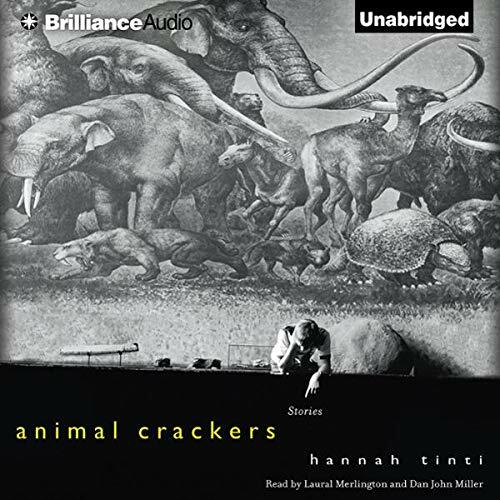 ©2005 Hannah Tinti (P)2009 Brilliance Audio, Inc.
Every story had animals that we abused, suffering, being used, hunted, blood and guts. Horrible book. I skipped most of the chapters after reading just a few paragraphs. The ones I did finish ended badly.